/ Has Your Restaurant Got The X-Factor? Has Your Restaurant Got The X-Factor? 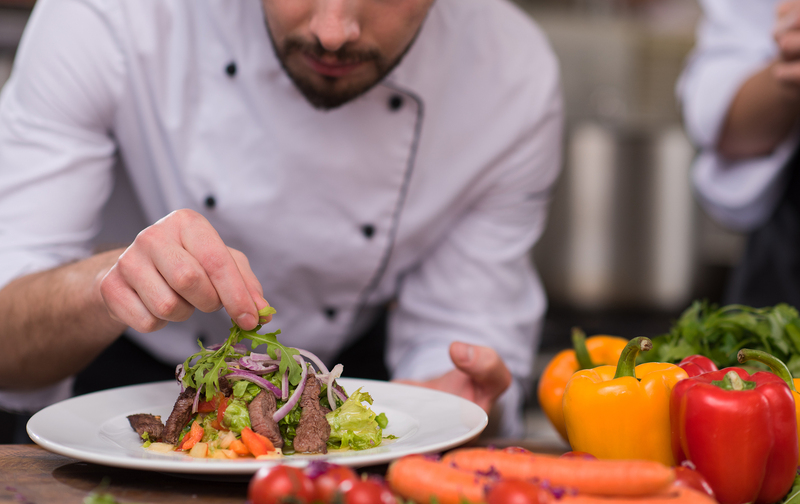 Got what it takes to succeed in the restaurant business? When it comes to starting a restaurant, few things beat securing a top spot in a restaurant-specific part of town. This is like winning the catering lottery. After all, you can bet every customer who walks past is looking for food. As such, you’ll be surrounded by ready-created customers every second of the day. That in itself can lead to more profits than you’d ever see if you were the only restaurant on the block. Of course, operating in an area like this does bring issues. Namely, you’ll be going up against every other restaurant in the area. You could say, then, that a spot like is something of a double-edged sword. The question is, how can you make sure it doesn’t cut your profits? The thing to bear in mind is that an area like this is something of an X-Factor in the restaurant business. If you win, you could see huge success. If you lose, you’ll find yourself on a terrible reality show. Or, you know, failing to succeed. Either way, your dreams of making this work will come crashing down. That’s why you need to make sure you ace that performance. Lucky for you, there is a simple formula to help you do just that in the restaurant business. It’s no secret that a competition like this is all about appearance. If your restaurant doesn’t look as good as the others, how do you expect to win the attention of passing customers? Hence why your restaurant exteriors need to look as good as possible. Get this wrong, and it won’t matter how good your food is. Make sure, then, that you spend plenty of time thinking about this. For one, take the time to develop a fun and bright logo which is sure to catch the eye. Then, make sure that you display this somewhere everyone can see. A hanging sign would work well for this, as would a window sticker. Then, consider giving yourself something other restaurants in the area don’t have. This is a competition, after all. Something like the canvases you can read more about here could be ideal for this. Remember, too, that your interiors matter a little here, as well. The majority of restaurants have large window-fronted units. Make the most of this by seating customers on your window tables first and foremost. The chance to see people dining increases the likelihood that passers-by will choose you. That’s especially the case if your meal presentation looks the part too. Who can resist the sight of a fantastically plated meal when they’re looking for somewhere to eat? Speaking of plating your food well, it’s also crucial that you perfect your skills as a restaurateur. That means your food needs to be as good as possible. This is your product, after all, and it’s your primary unique selling point. You may not think this would matter all that much for securing customers, but you would be wrong. In reality, your food is the thing which will seal this deal and ensure you sail through these auditions. For one, you need a menu displayed outside which few people could walk past. That means you need to both design a winning menu layout, and ensure your food is to die for. Aim for dishes which are proven crowdpleasers, and make sure you cater to everyone’s tastes. In the modern day, that means providing ample vegan and vegetarian options, as well as staples of both meat and fish. The more people your menu appeals to, the more chance you have of pulling in the crowds. And, of course, you need to ensure your food tastes good, too. That way, the people you do manage to pull in will tell their friends about you. That will secure you customers in a whole new way. It’s also worth noting that there’s no use being a wilting wallflower if you want to win this game. You need to be as loud and proud as your competitors if you’re to stand a chance. Stay silent, and you’ll soon find that customers walk right past you without a second glance. Of course, there’s a delicate balance to tread here. No one likes a raucous restaurant with staff outside trying to pull people in. That’s a turn off straight away. But, there are more subtle ways to make this work for you. As we’ve already mentioned, a bright logo in itself is a fantastic way to make your presence known. It may also be worth placing speakers outside of your restaurant to draw the eye. You don’t want incredibly loud and distracting music. Still, a well-volumed background piece could work wonders. If you do want to have a member of staff outside the door, find a tactful way to achieve it. Could they offer free samples rather than just approaching people as they pass by? That way, you can let your food do the shouting. If you were auditioning on a real stage, you would need to find a way to light that whole thing up. In some ways, winning this restaurant-based battle is much the same, only you need to light up your restaurant rather than a stage. If your interior lighting is so dark that no one can see in, it’s unlikely they’ll take a chance on you. Equally, if your lighting is blinding, they’ll walk on by. Find a happy medium, then. Achieve a lighting style which is ambient without being too dark. Something like pendulum lights or spotlights could work well for this. These also have the benefit of highlighting your tables and drawing passing eyes to the right place. You may also want to make use of fairy lights around your windows, or on the canvassing we mentioned at the start of this post. These would add a touch of glamour and magic which is sure to see you winning this battle once and for all.